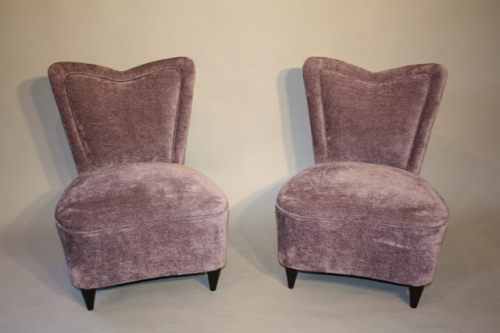 A pair of unusual Italian slipper chairs reupholstered in a velvet weave fabric by Colefax and Fowler. Seat height is 34cm. Would work well in a bedroom.